Take the opportunity to purchase this 12 year old turn-key downtown Yakima business that is for sale. Specializing in serving and selling of quality domestic and imported craft brews/ales by the glass or bottle. The only location in Eastern Washington serving traditional English cask ale. The business is ready for someone to step directly in and start running and Current owners are willing to offer short term mentor-ship to the new ownership and share contacts and other business knowledge as a part of the sale. More details available on the specifics of what will be included in the sale price and more specific financial details available with a signed confidentiality agreement.All consumables and items sold retail will be inventoried and paid for at wholesale cost above the list sales price of the business. No commission will be paid on these items. Items included with sales price: All chairs and tables ( 4 that came with the lease will stay but are not owned by the business owner) 3 Computers, 2 printers, Quickbooks Point of Sale and Financial. Card reader that was recently updated to read chip Credit Cards Desk behind cashiers desk Metal racks 19 Front of house & 5 Back of House All artwork, taps and wall souvenirs Wall reach-in Refrigerator (retail beer) and dishwasher in Front of house Cask taps x 3 4 refrigerators with taps (21 taps and 3 hand pumps) Video Game 2 countertop reach-in refrigerators in back of house In kitchen: rack, prep refrigerator, produce sink and pizza oven come with the business (other items in the basement, not currently used such as a panini maker also) Other items in kitchen stay but are owned by building owner and are a part of the lease. Lower level Freezer and a Perlick Refrigeration unit https://www.perlick.com/commercial/ Authentic Cask Cellar built under the supervision of a British former employee. The only cask cellar in Eastern Washington (cost approx. $10,000) Assorted kegs, firkins and pins casks All Dishes & Glasses used for serving the beverages and food Monthly lease will stay level for 2 years after new ownership takes over. Current owners are willing to offer short term mentorship to the new ownership and share contacts and other business knowledge as a part of the sale. 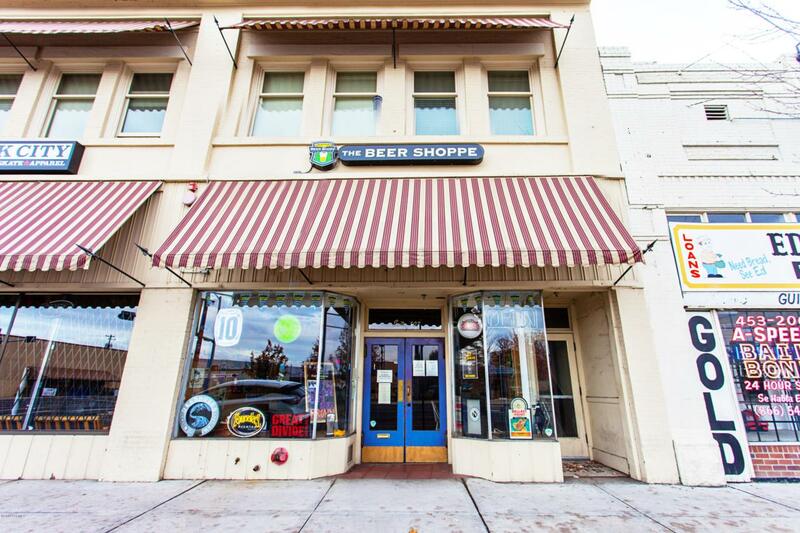 This is a hobby business for the current owners, who love craft beer and wanted a place in Yakima to make it available and to showcase different domestic and international craft ales and share a friendly atmosphere for others that enjoy it too. They are selling so they can enter a new phase in life with more free time to pursue other interests. They are physically involved in the business only on a limited part-time basis and have 4 employees that run the day to day operation. The current payroll would allow for a fulltime owner to step-in and make a healthy income. There is also opportunity for a new owner with more fulltime involvement to expand on what they already are doing at the Beer Shoppe. Listing provided courtesy of Alice Villasenor of Heritage Moultray Real Estate Serv.